Over $100,000 in Cash & Prizes will be awarded this year. Planning for 2019 is well underway. We will again be having a $1000.00 Early Bird Draw open to all entries received by April 30th, 2019. We will also be having a dinner for all tournament anglers and volunteers catered by Gropp's Country Catering at the Kenora Curling Club on Saturday, July 6th. Extra dinner tickets will be available upon request. Angler feedback has been great. We appreciate all questions and comments as this truly helps improve this great event. Mike Davey & Josh Haisell Take 1st! Mike & Josh take the top spot after previously finishing 2nd in 2 of the last 3 years. John & Susan Butts take 2nd, Paul Janzen & Justin Hebert Take 3rd. KWO Weigh-Ins will be streamed LIVE! We are teaming up with HTTV to bring the KWO weigh-ins live on YouTube and kenorawalleyeopen.com! You can watch from any web browser or the YouTube app on your phone! To get started, click the Watch Live link at the top of this page. 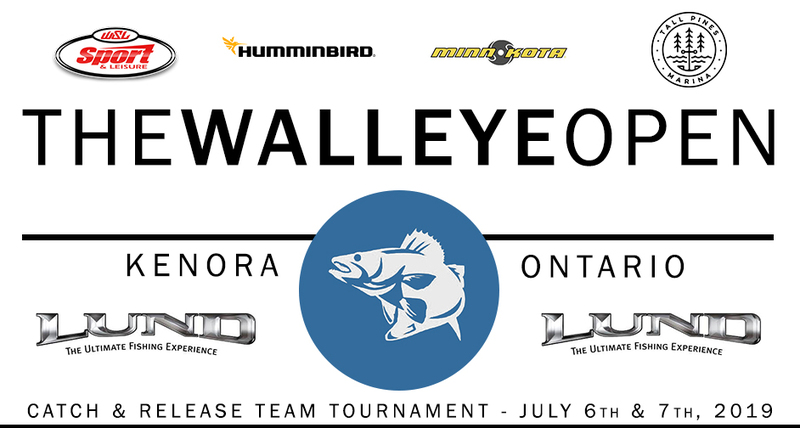 The 2018 Kenora Walleye Open is just around the corner. In 2017, the team of Anthony Paoni & Dean McCammon edged out the competition to claim the $32,000.00 top prize! $100,000 in Cash & Prizes was awarded in 2017! With support from our premier sponsors, Lund Boats, WSL Sport and Leisure, Minn Kota/Humminbird, Fin-tech Tackle, Rapala, 529 Wellington, Carne Italian Restaurant and Pro-Am Tackle we were able to see an increase over 2016 prize pool of $90,000.00! Planning for 2018 is well underway. We will again be having a $500.00 early bird draw open to all entries received by April 30th, 2018. We will also be having a dinner for all tournament anglers and volunteers catered by Gropp's Country Catering in Keewatin on Saturday, July 7th. Extra dinner tickets will be available upon request. Team registrations are coming in steady. Check out the Teams section for the latest listing of anglers.